Ursula grows up in a house of mirrors and though she tries to avoid looking at her reflection, she cannot. So it is apt that she is the chameleon of this story, changing her appearance, her style, her clothing, so that as the years pass she seems a different person. 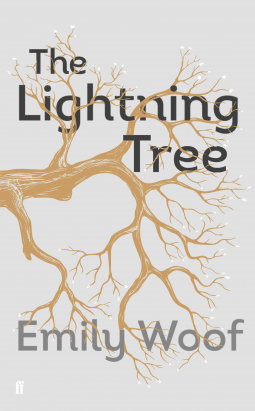 The Lightning Tree by Emily Woof is the twin story of Ursula and Jerry. She lives in Jesmond, a nicer area of Newcastle, and through her childhood she passes close to Jerry, who grows up in a flat at the rougher Byker Wall. When they do meet, there is a connection. Their lives run in parallel, twisting and turning, sometimes together, other times far apart. It is a love story, and an un-love story. How it is to fall in love as an adolescent and then see that love challenged into maturity, changing priorities, changing values, changing circumstances. Jerry, his nose always in a book, goes to Oxford and seems destined for politics. Ursula, less academic, goes to India where she undergoes something of a ‘Marabar Caves’ experience which is not really explained and which I still didn’t understand at the end of the book. Interwoven with Ursula and Jerry’s stories is that of Ursula’s Ganny Mary, her rural Lancashire upbringing, and how her life was affected by the death of her father and the change in her mother Annie who had her own ‘Marabar Caves’ experience, up Pendle Hill in Lancashire. There’s no doubting the energy in this book, but I did find the storyline confusing, there are so many surplus characters who we never really engage with, and Ganny Mary never ages. It is an enigmatic book, but one which I struggled to really grasp. A small aside – I love the cover, but then I do love trees!